The endrd.ae website from Dubai immigration dept. provides a Query DNRD App page to inquire about the visa status and other immigration applications. The following application's status can be inquired through the Dubai immigration portal by entering basic application information. Dubai immigration also launched a smart mobile application for checking the status and validity of visit visas and other immigration transactions. 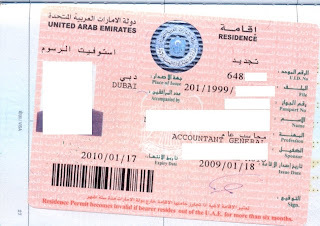 The new service from General Department of Residency and Foreign Affairs in Dubai will enable the public to inquire about the status of Dubai visas and other immigration transactions. DNRD eServices is a fully integrated immigration processing system designed to minimize the time you spend on managing your application and other transactions with DNRD. Major General Mohammad Ahmed Al Marri is the Director-General of the GDRFAD and users don't need to register to use the online visa enquiry services. I saw this page bookmarked and I very much liked what I read. I will definitely bookmark it as well and also read the other articles later. This page is very helpfull thanks a lot for posting this. i want to know my visa application status. i dont have visa right now. i just want to confirm that PRO has applied for my visa or not.